Love to spice rice. It becomes quite different depending on which flavor you use. Do you rinse the rice before you cook it? I know that in some countries as it´s “almost unleagel” to cook the rice without rinsing it in water before. 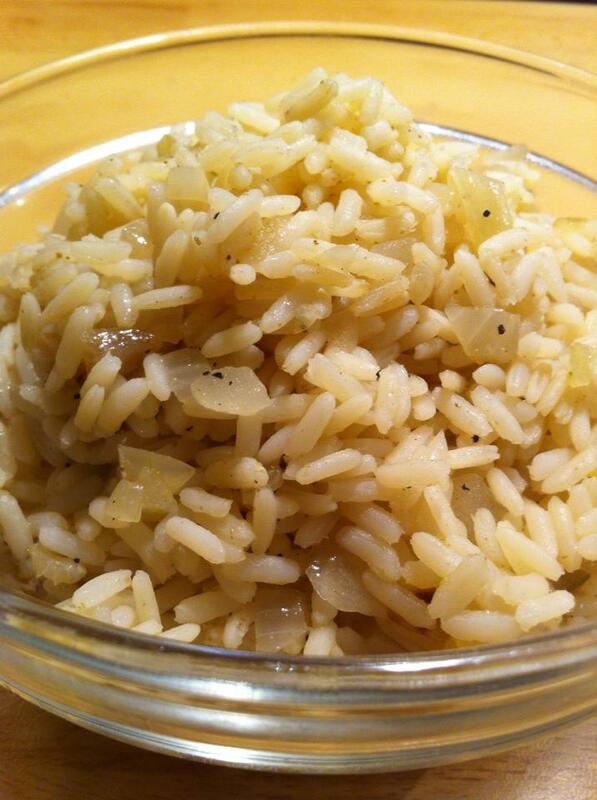 The difference becomes starch disappears and the rice becomes more airy. This Moroccan rice, I rinsed off before I started to cook it. Saute the onion in the oil. Add the spices and let fry for a few minutes. Add the rice and stir. Turn on the water. It must be about 1 ½ inches above the rice stripe. Bring to a boil and place the lid and lower the heat to low. Let it boil so until the rice is done, about 25 minutes. Good tips on rinsing, I love jasmine rice, but going to try the Morocon one soon! thanks for posting. Awesome photo. If it tastes as good as it looks, you are a good god. Ha! I definitely rinse the rice first. I was taught it had to be “cleaned.” Can’t wait to try this one! this looks really good… will be trying it tomorrow!